Ender's Game told the story of the boy "Ender" Wiggin and his hard-won victory over an alien race that would have destroyed the Earth and all of humanity. But Ender was not the only child in the Battle School. He was just the best of the best. In Ender's Shadow, Orson Scott Card told the story of another of those precocious generals, the one they called Bean - the one who became Ender's right hand, his strategist, and his friend. And now Card continues Bean's story, and finally tells a tale long awaited by millions of fans. At last we learn what happened on Earth after the destruction of the Hive Queen's worlds, after humanity no longer had a single enemy to unify the warring nations. This is the story of how Bean turned away from his first friend, Ender, and became the tactical genius who won the Earth for Ender's brother, Peter, who became the Hegemon. The narrator never says the word "hegemon", the word "hegemon" has been edited over in the audio by another narrator, it is horrible to listen to ! Flee away from this poor rendition of a great book ! 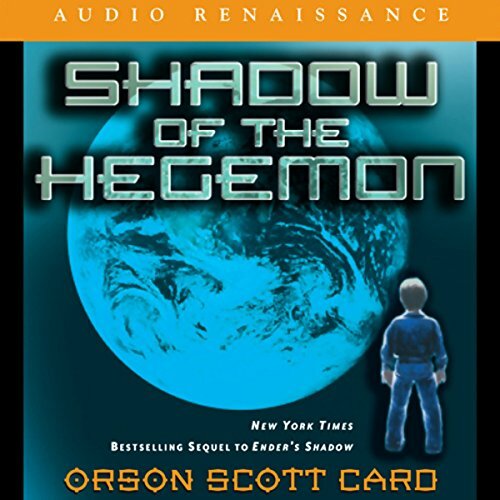 I have read five other books in this series, and Shadow of the Hegemon is yet another great story, that I highly recommend. If you have listened to any of the other books in this series, you will already be familiar with the acting work, as these are the same voices used throughout this series. What is very disappointing is the work done to transfer the title to the audible format. The title plays very muddy, and I had to set my treble all the way up, and bass all the way down. In addition, there are several places where the tone suddenly shifts to a high pitch, stays that way briefly, then jumps back to the muddy low tone of most of the work. Really, Audible, this recording needs to be recaptured from the source material. 63 sur 64 personne(s) ont trouvé cet avis utile. Note the word CONTINUES. This is a wonderful book, if you have fallen in love, as I have, with these characters. My suggestion is to read "Ender's Game"...then "Ender's Shadow"...then proceed to this book. "Speaker for the Dead"(my personal favorite), although an amazing book in itself does not need to be read to thoroughly enjoy this one. What I find so fascinating is, how Card, thru these sequels and/or parallels, takes characters that you thought you understood and knew, and gives them dimension and substance, that of course, you didn't know, because he never told you. I personally have alway enjoyed his characterizations, more than the story, but because Card makes me care about the characters so much, I then care what happens to them, hence the story then becomes important. I always listen twice to each book, because he tends to foreshadow so much that I sometimes "miss" things the first time around. If you haven't at least read "Ender's Shadow", don't read this! You have to know and love, or know and hate these characters for the full savoring of this amazing "world" that Card has created for us. Now for me, with excitement and anticipation, it is on to "Shadow Puppets". I can only imagine its delights. I hope your journey is as delicious as mine! 73 sur 75 personne(s) ont trouvé cet avis utile. Great Story with the worst Audio ever recorded! I know many other reviews have spoken about it....but if you took a cassette recorder with an old cigar length external microphone, and you recorded audio for a book, then have it read by several different people who play all the characters at some point for no reason, let it age for 30 years, then dub it to CD..... and when the audio drops out so low you have someone reread it in a different voice over the top of the original recording, you have Shadow of the Hegemon. Wow....how could they let this go out and then never fix it. This is a $35 audio book!!?? To quote the great Gomer Pyle "For shame, for shame for shame"
The story however kept my attention in between audio drops. The story has continued and fortunately is so strong I managed to keep listening through the horrid audio. Petra...is one hell of a strong character!....Bean is Bean....brilliant, arrogant, and, just a little kid. Gabrielle de Cuir....I think someone called her "Miss Dramatic" in a different review, is at it again...ooooooooh the poor child, oooooooooh so sad. Geez. Does she mispronounce Achilles name on purpose? When she pronounced it as Asheeel in prior books? Don't know. I know I know, it's the French pronunciation. She just confuses things even more. (even though he gets preachy as usual) ..that keeps me wanting yet more and more. Why he would let this mess of a recording stay online literally for between 5 to 10 years or more is crazy!! Fix this thing!! 22 sur 22 personne(s) ont trouvé cet avis utile. Note that if you download this book, there is a (possibly confusing) technical flaw. In part I, at around the 3:37:55 mark, the recording seems to pause, then begins repeating the last half-hour or so (picking up at what the listener heard starting at around the 3:09:16 mark). The narrative then continues smoothly through, but can produce odd feelings of deja vu. ;) So, at the 3:37:55 mark, when you think, "Didn't I just hear this part?!" Just fast-forward up to about 4:06 and you'll be fine. 33 sur 34 personne(s) ont trouvé cet avis utile. Recorded in a tin can? This is an excellent story (as are most by Mr Scott Card), read by extremely talented people. Then the money ran out, or something. It's strange that the sound can be so shabby in this day and age. And the music? SHEESH! The author and actors work hard to create an eerie, nail-biting mood, then in comes happy elevator music made on a kiddie keyboard from the 80's. Gone is the suspence! Audible usually makes me feel that the books I buy here are well worth the price. Not this one though. I got sorta ripped off. I still recommend this one though. Just be warned of the tinny, unprofessional production. Five stars for the story. Five stars for the actors. Half a star for the guy who was responsible for the sound and music. 48 sur 50 personne(s) ont trouvé cet avis utile. I agree with the main annoyances of the recording previously posted by many others. There were just too many glitches in the production for them to be overlooked. The story was decent, but the audio blunders were very distracting. This book needs to be re-recorded with everyone on the same page and properly edited. A free download of an acceptable recording, for those of us who purchased the original, would also be nice. 57 sur 60 personne(s) ont trouvé cet avis utile. 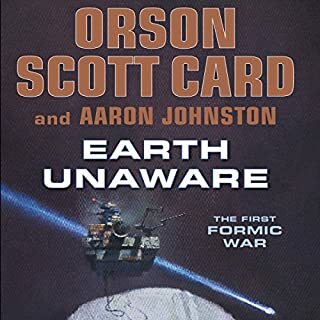 I really enjoy Orson Scott Card's stories but unfortunately I had a science fiction bias when I bought this book. There is in fact little to no science fiction in this book. It's Earth bound and in the future, that's it. Good story though. The production is poor. Everyone has their own preferences as to how narration is done but I'm sure all agree that the editing of corrections and music are like loud bangs in a quiet room. Clearly it wasn't until the end that someone pointed out the mispronuciations of names and words. The solution of letting some instances slide, warbling others, and dropping in mismatched re-records was just plain BAD. You can get through it but you may feel you didn't get your money's worth. 54 sur 57 personne(s) ont trouvé cet avis utile. 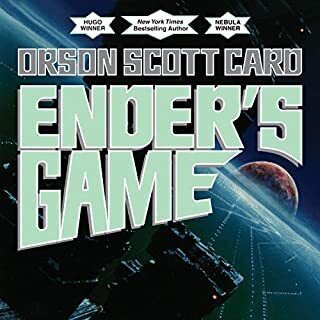 I'm a huge fan of the Ender series, and I have had the good fortune of listening to the entire series thus far on audiobook (which as Card says is his preferred format). This is another fantastic story involving Bean, who is now living on Earth after the Formic War. 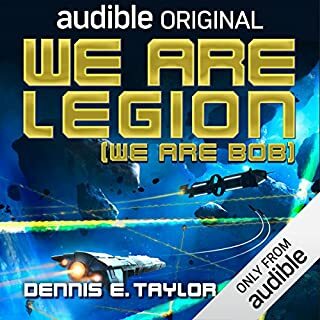 Unfortunately, the production quality of this audiobook is extremely poor compared to the previous books in the series. Initially, the audio was very poor quality and the volume was very low. While the audio levels eventually became normal again, the audio quality was often very poor with certain voice actors. Multiple mispronunciations plagued this performance, which varied from minor to major distractions. The word Hegemon (being the title of the book, no less) was mispronounced throughout the entire audiobook, and was crudely dubbed over with the correct pronunciation by what sounded to be a different actor. Finally, the name of the antagonist was severely mispronounced throughout the book, with the exception of a few correct pronunciations strewn intermittently throughout the performance. Achilles, the Battle School failure who later became involved involved in global politics, was pronounced phonetically, instead of with the correct French pronunciation "a-SHEEL". This pronunciation was made very clear in Ender's Shadow, so it was very hard to become accustomed to the mispronounced version. At first, I thought that it was being mispronounced because the character being spoken through did not know the correct pronunciation, but I soon realized that was not the case. The same voice actor would pronounce it correctly in one part of the book, then completely the opposite in a later part of the book. In summary, I would greatly recommend this book, but do be aware of the audiobook's multiple problems. I am very surprised that this has not been addressed yet, and I hope it is republished in the future. 39 sur 41 personne(s) ont trouvé cet avis utile. First, as many others have noted, the production of this audiobook is really poor. 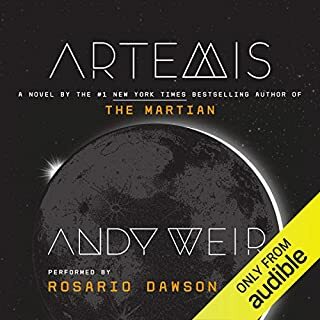 It is riddled with pronunciation problems, even with the word "hegemon" (which is in the title) and with the name of one of the main characters, "Achilles" (how it's pronounced - English or French - is an important plot point to show if a character actually knows Achilles and it's often done wrong in this book). In some spots a different person has dubbed the correct pronunciation of hegemon into the audio, which is possibly more annoying than just dealing with the wrong pronunciation. The audio quality is overall bad - differences in volume and some garbled speech, etc. The voice actor casting are also not great. In particular, whoever reads for Peter's POV sounds about 70 years old, even though Peter is supposed to be quite young. This is a relatively expensive audiobook given that it was released more than a decade ago and I expected better. Second, there were a few problems in the story itself. For instance, there's a lengthy portion of the book where they talk about Ender's childhood home, but they're in the wrong city - Ender's family moved from the home he grew up in and this was discussed at length in earlier Ender books. I do believe this was caught and remedied in a later version of the book (which just underscores the need for a newer audio version). I also thought that there were portions of the book that were a bit too long or too preachy, etc., and were both unnecessary and out of character in the story. This is is a problem I've often noticed in subsequent books from a highly successful author - it's like editors no longer take the red pen to texts in the same way they would with new authors. Despite the problems noted above, if you liked Ender's Game (and other books in the series), this is a worthwhile read. 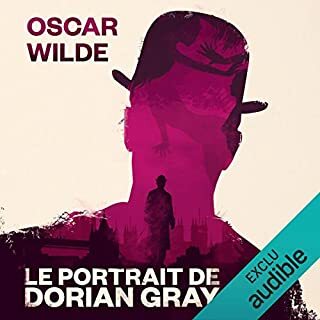 I'd recommend you skip this audiobook, though, and read the newest paper version, which wouldn't suffer from the poor audio production and would also have corrections of some errors that made it into the first edition of this book. Would you try another book from Orson Scott Card and/or the narrators? I have listened to and enjoyed many of Orson Scott Card's book by this creative team. While I enjoyed the books (with one notable exception), the performances and production have always been top notch. Until this book. The recording and production of this book are the worst of any Card novel I've heard. Apparently no one could decide how to pronounce "Hegemon" during recording, but someone obviously went back in and overdubbed the pronunciation of that one particular word, over and over again. Plus the music was terrible cheesy, and the overall sound quality was not up to spec. Disappointing from a group I have known can produce top quality recordings. 2) Absolut peinlich ist, dass wohl jemand "hegemon" bei den Aufnahmen falsch gesprochen haben muss. Jedenfalls wird immer, wenn das Wort vor kommt auf einen anderen Sprecher oder zumindest auf eine andere Aufnahme umgeschalten. Da diese "hegemon" immer mit einer komplett anderen Betonung und Geschwindigkeit gesprochen wird reisst es einen aus der Geschichte. Die Geschichte ist durchaus spannend und gut geschrieben. An dieser Stelle gibt es nichts auszusetzen. Die Sprecher sind in Ordnung. Es gibt zwar bessere, aber noch viel mehr schlechtere. Tonqualität ist miserabel. Das Wort "Hegemon" wurde öfters mitten im Satz von anderen Sprechern eingesprochen. Die trashige Synthesizer-Musik hätte man sich sparen können. Und in der Postproduktion wurden unzählige Sprechfehler korrigiert, indem sie einzelne Wörter neu eingesprochen und reingeschnitten haben. Klingt furchtbar. Auch insgesamt ist die Audio-Qualität nicht wirklich gut. Schade.